At Barretts Land Rover we have a number of Range Rover Velar offers available and we can even tailor an offer specifically for you, so you get the Range Rover Velar you want at a monthly repayment and deposit that suits you. Speak to a member of our friendly team today for your no obligation quote. Representative Example relates to Range Rover Velar D180 R-Dynamic SE Auto (19.5MY). The luxury SUV was created in 1970 when Land Rover launched the original Range Rover. Almost half a century later that spirit of innovation continues with the introduction of the fourth member of the Range Rover family. Refined for every occasion, for every terrain, Velar uses unique sustainable materials and advanced engineering to continue Land Rover’s drive to go Above and Beyond. The origin of the Velar name dates back to the first Range Rover prototypes of the Sixties: the pioneers of the luxury SUV landscape. Matrix-laser LED headlights with 550m visibility. 650mm wading depth and 251mm ground clearance. From the Sports Command Driving Position, two 10" High Definition Touchscreens and optional Head-up Display, to individual sliding armrests and configurable mood lighting, every detail has been considered to provide a refined, contemporary driving experience. 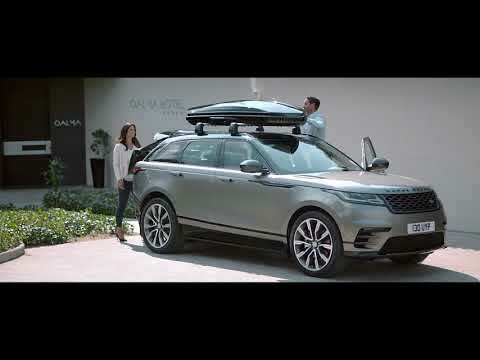 "We call the Velar the avant garde Range Rover. It brings a new dimension of glamour, modernity and elegance to the brand. The Range Rover Velar changes everything." £55,520 On The Road: Enquire now at Barretts Land Rover.